​We place a strong emphasis on anesthetic safety. We use established and safe protocols for our anesthetic patients. Screening bloodwork, IV catheters, and extensive monitoring are incorporated into our protocols. 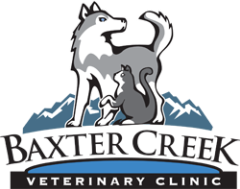 Our clinic utilizes injectable and gas anesthesia, nerve block techniques, as well as constant rate infusion (CRI) protocols. This is a blood test run here in the clinic prior to surgery. It checks organ function, blood cell counts, clotting factors, and conditions that are not detectable by physical exam alone. It is a useful tool to assure safety during surgery and a healthy recovery. Pre-anesthetic blood screening is recommended for all patients undergoing anesthesia and is required for all patients 8 years of age and older.